Ready for some EXCITING NEWS??? Hank #71 will be released on March 28, 2018! And, get ready for Hank's most hair-raising adventure yet! This book will have you laughing at times and crying at others! 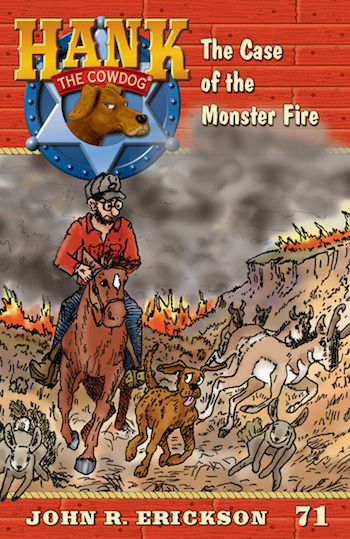 And, if you wanted to know more about the real wildfires that affected John R. Erickson and his family last March, you'll enjoy some of the materials in the back of the book (pictures of their ranch, cattle, etc.). March isn't too far away, but be sure to check back here in the meantime for more information about Hank #71! And, keep an eye on Hank's Facebook page and Instagram account for some upcoming giveaways!! !